‘Business in You’, a major new campaign aimed at inspiring people to start or grow their own businesses and helping small businesses and entrepeneurs understand the array of information and help available from the Government and private sector has been launched by the Prime Minister today. Partners in the campaign include StartUp Britain, the Confederation of British Industry, the British Chamber of Commerce, the Institute of Directors, the Federation of Small Businesses, the Forum of Private Business, the major banks (via the British Bankers’ Association and the Better Business Finance Campaign), the Engineering Employer’s Federation, the Social Enterprise Coalition, Institute of Credit Management, Microsoft, Mitie, Ernst and Young and Grant Thornton . In further action to help small businesses get off the ground, the Prime Minister has also announcing plans to make empty and under-used Government offices available to small businesses so that they can start up and grow. There is a wealth of information and help available to SMEs - the Government and the private sector have come together to make sure that small firms and budding entrepreneurs know what is available and to expand the offer, with some of the campaign partners providing free services including workshops, web-based seminars and video tutorials on issues like finance as well as providing mentoring and access to face to face consultancy sessions. The campaign, running nationwide throughout 2012, showcases real life small business owners who come from a wide range of backgrounds, and each has an inspiring story of how they turned their passion into their livelihood through hard work and support. Launching today, it will roll out through radio adverts, outdoor posters across the country and national and trade press. The campaign features a new ‘Business in you’ web portal which will bring together the resources available to business owners and entrepreneurs to help them start or grow their business as well as inspire them with stories of how other people have achieved success. Each month, the campaign will focus on a different theme relating to start ups and growth including exporting and employment and will highlight the wide range of Government support available; from online advice on Businesslink.gov.uk through to specialist schemes such as the Enterprise Finance Guarantee that underwrites some of the cost of bank loans to SMEs. Small businesses and entrepreneurs are the lifeblood of the British economy and I am determined that we, working with the private sector, do everything we can to help them to start up and to grow in 2012. I want to encourage people to go for it and make this the year of enterprise - whether that is fulfilling their dream of starting a new business or taking the leap to grow their business, to employ more staff, or to start exporting. There are some great inspirational success stories across the UK of businesses that have started up and grown into successful local, national and international companies. We want people to follow their example, realise their own business potential and help make 2012 the year of enterprise. I know that starting and growing your own business can be a daunting task, but there is help available to potential entrepreneurs who have the desire to take their ideas forward. The Government is providing more opportunities for people of all ages and backgrounds to either start or grow their business, which in turn will help boost the UK economy. Is there a business inside you? We believe the answer is yes and we want to inspire those with a dream to make it a reality by starting their own business. All around the country are people proving by their own actions that you can make it in Britain, be your own boss and create the jobs that can help transform communities. This campaign champions the courage and determination of Britain’s entrepreneurs, the people that change things, the people that have a go. To help small businesses get off the ground, the Government is also announcing plans to make empty and under-used Government office space available to small businesses so that they can start up and grow. Many entrepreneurs struggle to find a suitably flexible and affordable space to start their business, so this practical measure taken by the Government will support the next generation of British businesses. There are currently over 300 buildings in the central government estate with space in England and the Government, working in co-operation with landlords, will offer as much as this space as possible to small businesses, giving them space to grow at a low cost. The Government will invite third sector incubation organisations, who help new and existing small businesses prosper, to manage and allocate these spaces. These organisations will also provide the businesses with access to support and business advice. 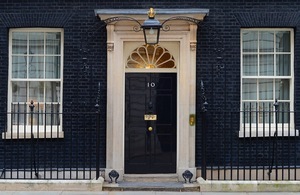 As part of its overall efficiency programme led by the Cabinet Office, the coalition Government has already saved £100 million this financial year by exiting leases, and its top priority for dealing with under-used buildings remains to exit properties and make further savings. This will be initially for one year and will involve flexible, short-term arrangements that will make productive use of the assets while they are otherwise sitting empty. Business and Enterprise Minister Mark Prisk will work with the Government Property Unit, the BusinessLink website, business representative organisations and StartUp Britain to help would-be businesses who might benefit from this scheme to identify and investigate Government space that is available in their area. The Government has extended the Enterprise Finance Guarantee (EFG) scheme to make £2 billion of loan guarantees available to viable small firms through to 2014. A number of new lenders, including Metro Bank, will also be accredited to offer EFG lending. This gives SMEs that lack the collateral or credit history to secure a normal bank loan to gain the vital funding they need. The Business Link website has been updated and provides easy-to-use information to help start up, improve or grow a business. Last March the Government lent its support to StartUp Britain which is a private sector driven campaign to encourage and celebrate entrepreneurship. It remains a source of energy in the UK’s start up scene, and we are working very closely with StartUp Britain as a partner on this campaign. The ‘Business In You’ campaign builds on Start up Britain’s work to include the full and increasing range of support available to small businesses, provided by both the private sector and government. To roll out the ‘Business in You’ campaign, we have booked 20 poster sites in the following major cities in England. London (7), Manchester (2), Leeds (2), Birmingham (3), Sheffield (2), Newcastle (1), Bristol (1), Liverpool (2). We have one mobile van booked for Leeds for January 23, and another in Westminster on January 26.